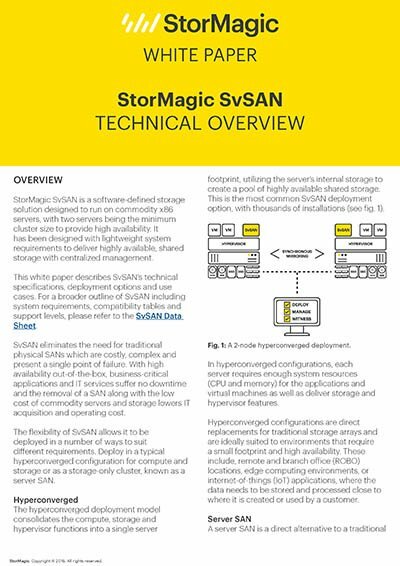 The StorMagic SvSAN Technical Overview is the definitive white paper in gathering a complete picture of SvSAN's capabilities and deployment options. Explore the ways in which SvSAN can be leveraged to deliver cost-effective, virtualized storage on one, two or more nodes at each location. Obtain an overview of the hyperconverged and server SAN deployment models and get a better understanding of which is most appropriate for your requirements. StorMagic SvSAN is a software-defined storage solution designed to run on commodity x86 servers, with two servers being the minimum cluster size to provide high availability. It has been designed with lightweight system requirements to deliver highly available, shared storage with centralized management. 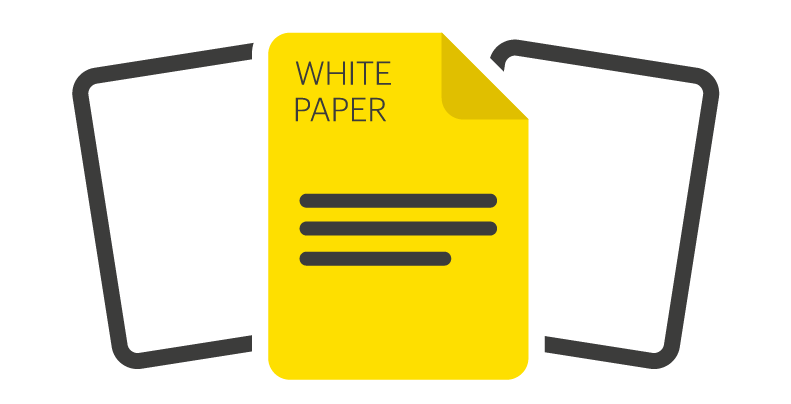 For the storage architect or interested party, start your investigation with this white paper and begin the journey to simplifying your storage with StorMagic SvSAN. Looking for system requirements and compatibility information? Then you need the SvSAN Data Sheet, available here.